Halloween is coming this weekend, and store shelves are filled with fun-size bags of candy. But which candy is the most popular? 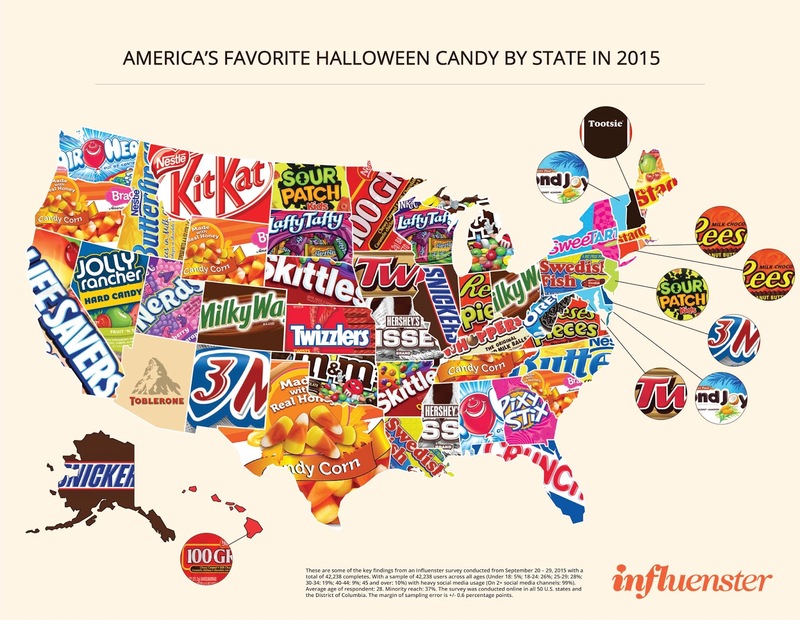 Influenster is a product review site that surveyed 40,000 people across the country to determine which candy is the most popular for each state. The map (above, click to enlarge) reveals the winners. Candy corn was the top treat in five states, with no other candy winning that many states in the survey. Reese’s Peanut Butter Cups was the most popular candy with the most votes overall, but only claimed the top pick in Connecticut and Rhode Island.